Round 1: Fights start slow, both fighters southpaw, feeling each other out. Yod lands a big cross, stumbling his opponent 40 seconds into the first round. Yun goes for an ankle lock against his standing opponent. Yun stands back up and begins boxing once again. Yun keeping his hands very low by his knees. 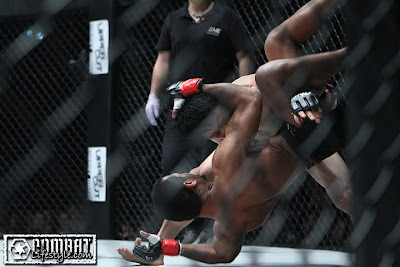 Sityodtong throwing some lazy low kicks and Yun shoots high, picking up Yod against the cage and tossing him to the ground, landing in side control. Sityodtong landing powerful knees from the bottom as his opponent slides into top mount. Yun in full mount, landing strikes against Yod with 1:40 left. Yod turns to his knees, giving up his back as Yun attacks with a RNC. Releases the submission and continues throwing strikes. Yod completely flat with a full RNC choke lock in under his throat. Yodsanan goes unconscious and the referee stops for the fight with :30 seconds left in the first round.